Sengled Smart LED is a smart light with PAR38 bulb and motion sensor which secures the outside of your smart home at an attractive price. Smart lights are essential devices for any smart home, helping to save money by tracking energy usage, plus they're often easy to install. Sengled's latest line, called Sengled Smart LED, includes LED smart light bulbs that produce a range of soft white lights to colored LEDs in 16,000,000 different colors. GearBrain had the opportunity to test the new Sengled Smart LED with Motion Sensor PAR38 smart bulb, which is designed to be used outdoors, and includes a motion sensor. 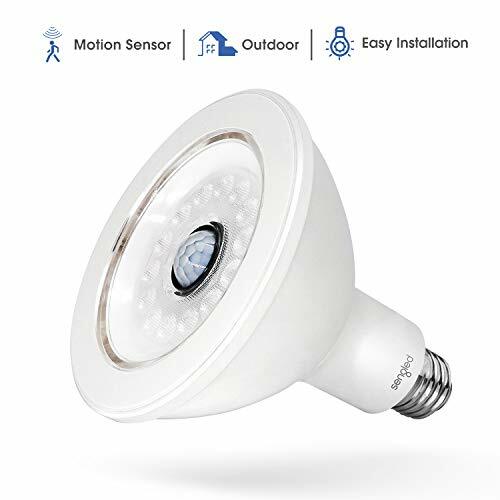 What is the Sengfled Smart LED with Motion Sensor PAR38 smart bulb? Sengled's Smart LED with Motion Sensor PAR38 smart bulb is ideal for securing your outside space, able to withstand temperatures from -4 to 104 degrees Fahrenheit (-20 top -40 degrees Celsius) and humidity from 0 to 95 percent. The PAR38 bulb, with an E26 socket, produces 25000 hours of life over its lifetime and includes a 3-year warranty. The bulb produces 1200 lumens of brightness, has a 3000k color temperature, a motion sensor with a 40-degree beam angle and is dimmable with the use of the Sengled Home app. To run it, you need a 2.4GHz wireless connection — but it can save you up to $175 per year in energy costs. The bulb also uses Zigbee Wireless protocol to communicate with other devices. Note that this weatherproof smart LED bulb does require a Sengled hub, as do all of the bulbs from this line. They work very similarly to Philips Hue smart lights which also requires a hub, giving it the ability to work with other smart home systems, and different wireless protocols — while smart lights that connect without a hub often can't. What does PAR38 mean? PAR38 is a type of halogen or LED light bulb, where PAR stands for parabolic aluminized reflector and 38 refers to size of the bulb, a common size for big bulbs. The E26 socket is the standard base of a light socket in the U.S. This is the old Sengled app which you should not use. Use the Sengled Home app. ​There are two Sengled mobile apps. This is the newest version and the app to use when setting up your Sengled smart lights. From there, you can control all of your Sengled devices, set schedules, create scenes, and setup rooms that have Sengled LED bulbs or smart plugs. The app has a specific room management section which lets you easily manage rooms with Sengled devices are placed. There's also a performance section where you can keep an eye on your energy savings and the power consumption of Sengled products in kilowatt per hour for a standard 60W bulb. You can see performance of all of your Sengled products — and check individual devices as well. So, if one light is left on too long, or you think you're running your lights too long, you can check to see if that's true. For those with an outdoor light that turns on and off at a switch, but are interested in adding a motion sensor that turns on a light if something moves at night, the Sengled Smart LED with Motion Sensor PAR38 bulb is a solid choice. But if you currently own a light fixture with a motion sensor — and are considering this Sengled PAR38 smart light — I would not recommend it. The motion sensor on a light fixture overrides the sensor in the Sengled smart light. Instead, you're better off replacing the light fixture with a standard outdoor fixture that uses PAR lamps or bulbs. It might sound expensive, but these fixtures cost about $11-12 at Home Depot, while a light fixture with a motion sensor costs about $80. This Sengled outdoor smart light does need to be placed within 120 feet (35m) of the Sengled hub for it to work properly. That's fine if you're attaching this to the outside of your home. But if you're thinking of using it on an unattached garage — or a location away from your house — we recommend you measure the distance before buying this smart LED. If the distance is farther than 120 feet or 35m, the bulb may not work. Sengled has a robust offering of smart home integrations. You can control your Sengled smart LED using voice assistants including Amazon Alexa and Google Assistant. 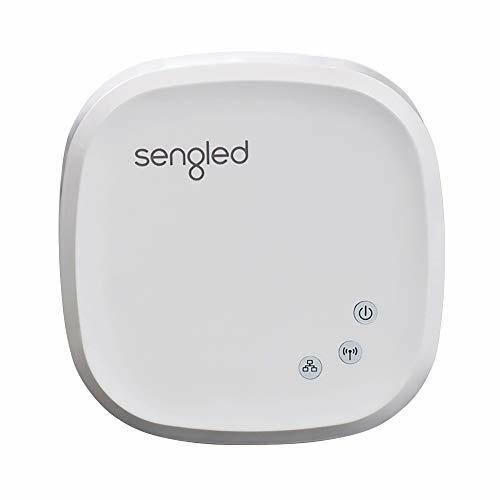 Since Sengled LED bulbs work on a Zigbee wireless protocol connection, these smart lights can be integrated into Samsung's SmartThings, Iris by Lowe's or Comcast's Xfinity X1 platforms and also with IFTTT applets. If you're looking for an alternative to Philips Hue smart lights, and don't mind using a hub, Sengled is worth considering. Their smart lights are very good, especially the Smart LED with Motion Sensor PAR38 outdoor smart bulb. In terms of cost, two PAR38 Lights with a motion sensing fixture will run you in the $80 range at a Lowe's or Home Depot. But if you were to get two Sengled Smart LED with Motion Sensor PART38 bulbs and a standard outdoor light fixture, it would cost you less than $70, and you have a system that not only secures the outside of your home, but helps you save money on your energy bills. Overall, this new outside smart light is not only a good first smart light device, but one you can comfortably add to your existing smart home system, especially for those working on a Wi-Fi or Zigbee compatible wireless connection.